Dawn's Crafting: My Lovely Friends! I'm a few minutes ahead of time as I have stuff to do! facebook who share their crafting journey together. Feel free to pop over & join us if you'd like to! No need to be shy we are a very friendly bunch! Click on the badge to go there! 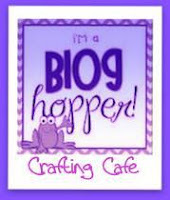 Feel free to take the badge for your blog too! it over here from the lovely Emma's blog. pop on over to the lovely & very talented Nikki's blog. That's where the hop begins! You won't want to miss out any of the amazing creations along the way! could possibly be the theme of the hop! from The Crafty Pad Designs. which you heat emboss to puff it up! I think you'll agree the image & sentiment are simply perfect for the theme! The card was made using mainly scraps. no idea where it's from! I really wish I did as I love it! The ribbon & pearls were from my stash! I like to decorate the inside of my cards a little just to balance things! is a different texture to the one on the outside. I will announce the winner on Friday 6th July! Make sure you stop back to check if you're the lucky winner. So, the time has come for you to hop on! I'm sure you'll find something awesome waiting there for you! I adore this image.... sooooo cute! And I just love the way you have done the wool. Awww! I love that wee image - and the sentiment. Isn't fluffy stuff fab! Love that you have used all bt of scrap to make the card too. I always keep mine, but never seem to use it LOL. Good morning Dawn, I just love the little ewe she looks adorable and love the wool effect on her. The papers are gorgeous and love the sentiment. A stunning card as always and love the inside of your card too. What a very pretty card. I love the style and the colours you have worked with. The sheep is just adorable. I just love how fluffy the sheep is...ace! Fab card Dawn, I love your cute image and the Fluffy Stuff makes her fleece look great. fab card i love your fluffy sheep! I love this card..lovely colors especially with the polka dot ribbon..the lamb is precious. Dawn, this card is lovely! I really really like it! Gatefold cards are such a good format, everyone is always in awe of one! The colours you've selected are fab and I absoloutely love the image you've used and the fluffy bits too! Such a sweet card, great friendship card :) I love the way your card opens very cool. Thank you for joining us over at Fussy and Fancy Friday Challenge...good luck! OMG!!!!! This is SO cute!! Fluffy sutff is fab stuff eh?? Love it. OK, Hopping off to see Lisa now!! what a sweet card. Love how you have done the wool on the sheep. What a cute and fluffy little sheep! Nice card! He really is cute Dawn, must dig out my fluffy stuff!! This is adorable...love the texture on the ewe and the purple too! Thank you for playing along with us at Creative Card Crew! Your card is so sweet Dawn! Love the sheep and the lilac colour! Lovely card, great image and the wool looks wonderful.